IT's WOOD! I've GOT WOOD!!! 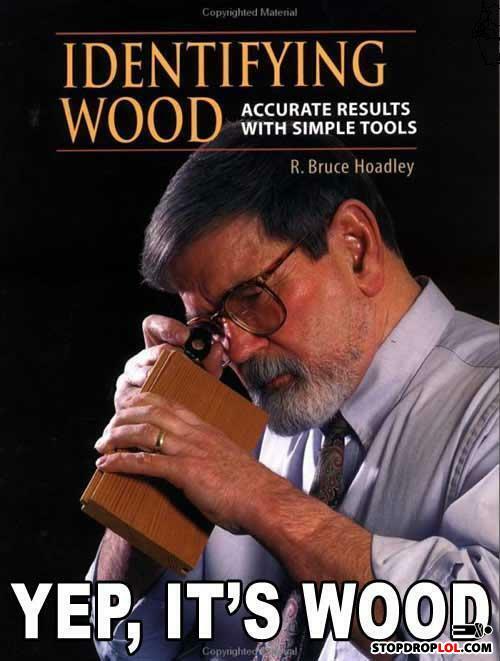 Obviously not the first wood in this man's face.What a pro. ...and at that moment Professor Feinklebein realized that "getting wood" had duel meanings. yep. its made in china alright!!!!!! Is this how u put the contact lense in?? Isn't that hydrogen? Check again, just in case. Accurate results with simple tools! the name says it all. wonder how many times his wife's heard him say that? Dammit, turned out it was fool's wood.